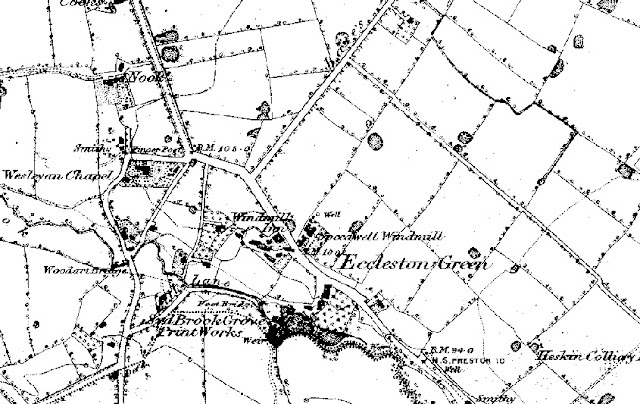 In 1841 Seth Blackburn, who was to become the long-serving Inn Keeper at the Brown Cow was living on Eccleston Green with his mother Margaret Blackburn. At this time he was shown as working as a Calico Printer, probably working at the nearby Syd Brook Grove printworks. 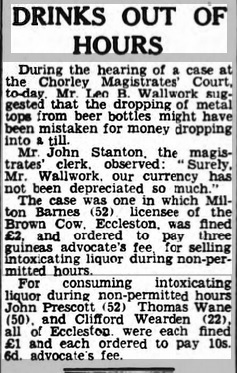 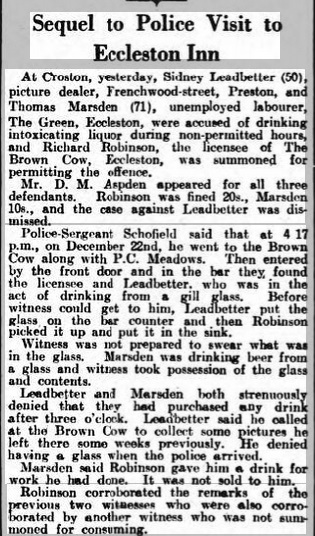 They were almost certainly living in the same building that was to become home to the Brown Cow but at that time there was no beer house. 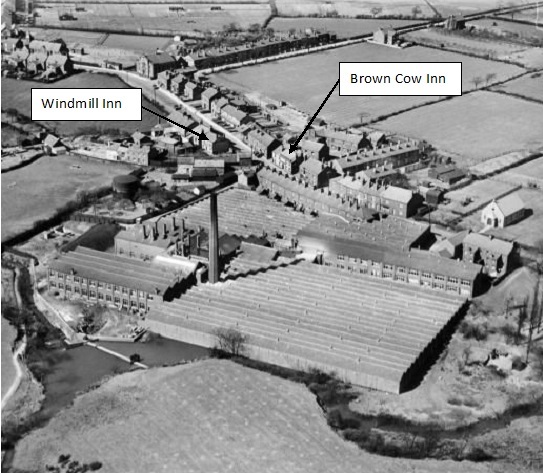 A map from 1845 below show the works and Speedwell Windmill with the Windmill Inn already established but no record of the Brown Cow. 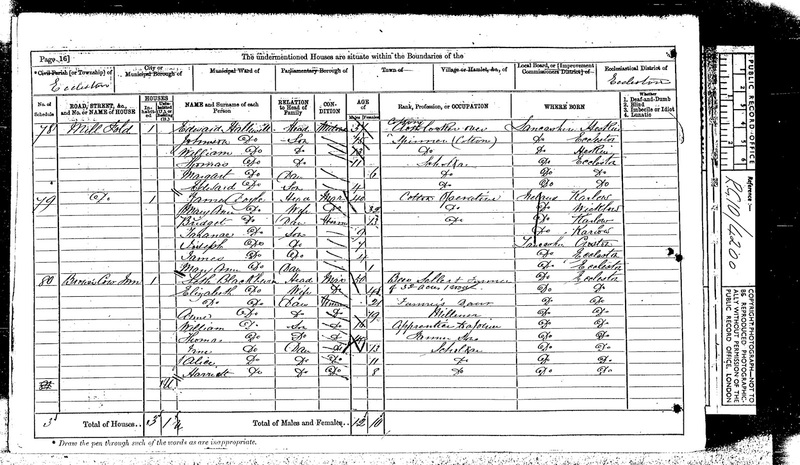 In 1851 a Seth Holding is recorded as a beer seller (above) living in "Mill Fold" next door to Seth Blackburn and his family. Seth was married to Elizabeth and living,with their three young children on the Green working as a colliery engineer (below). 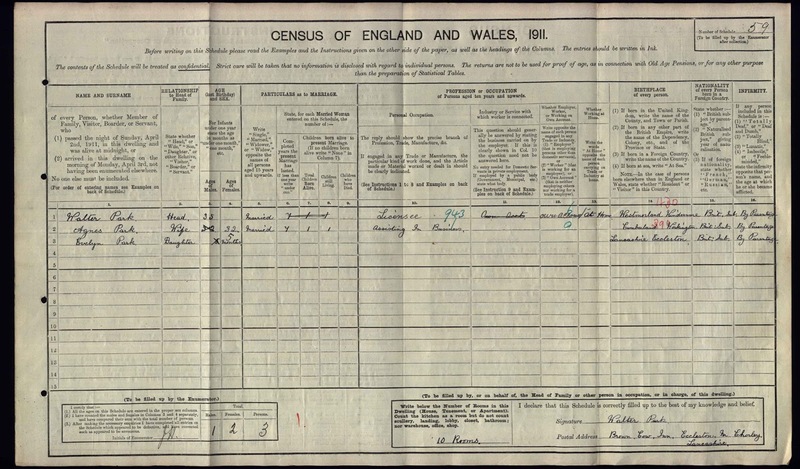 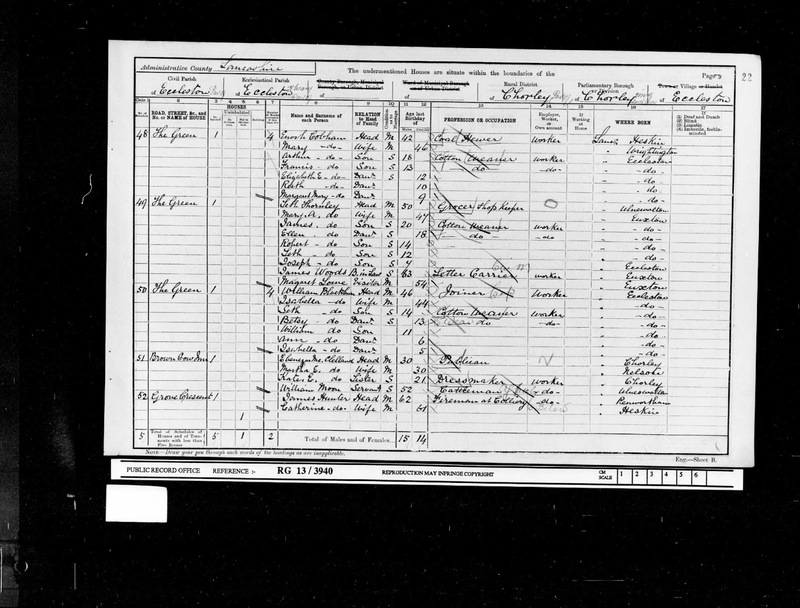 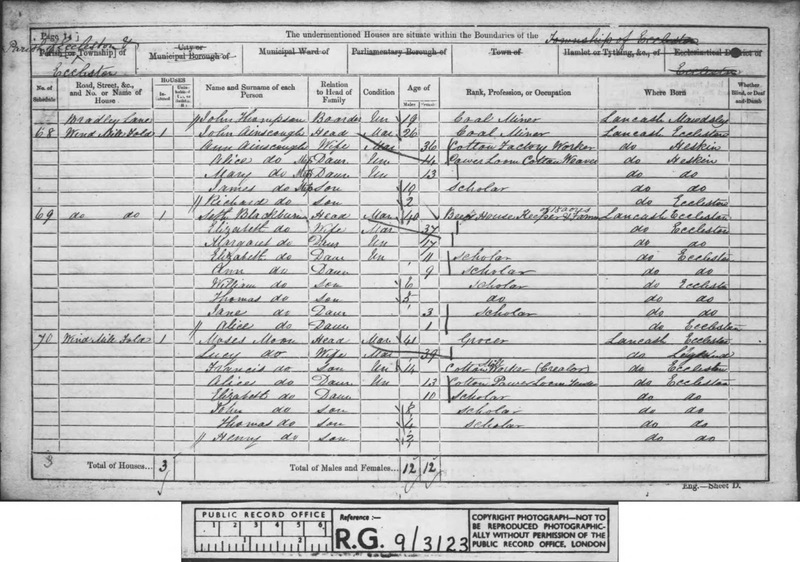 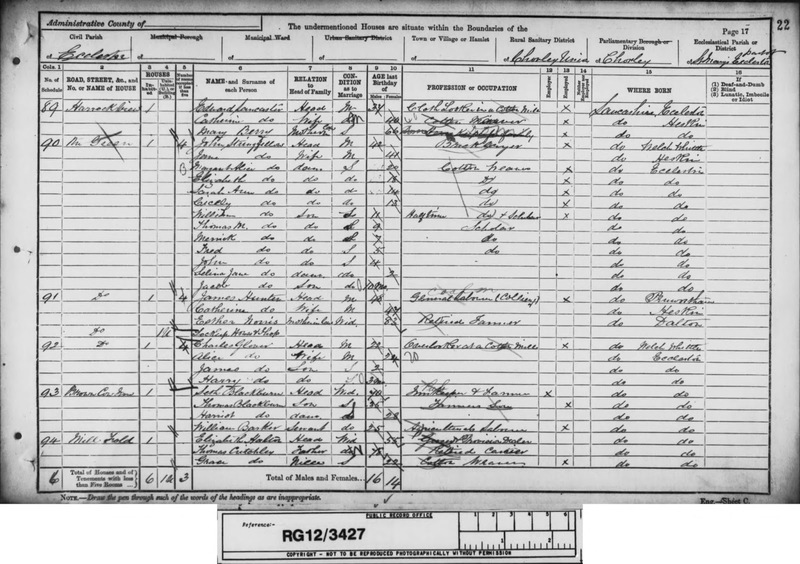 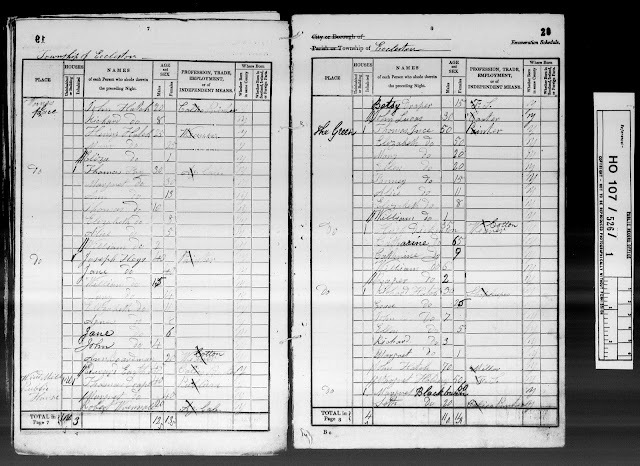 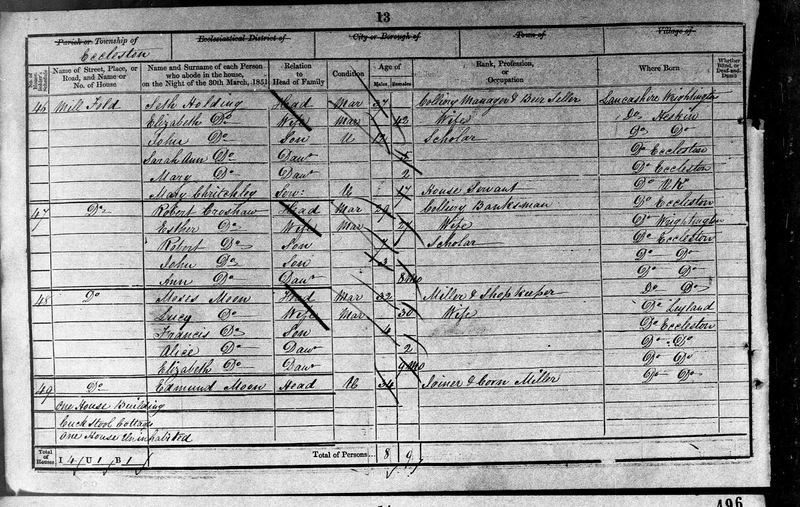 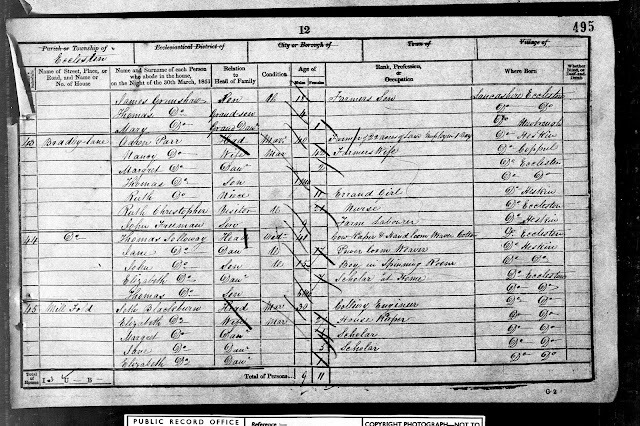 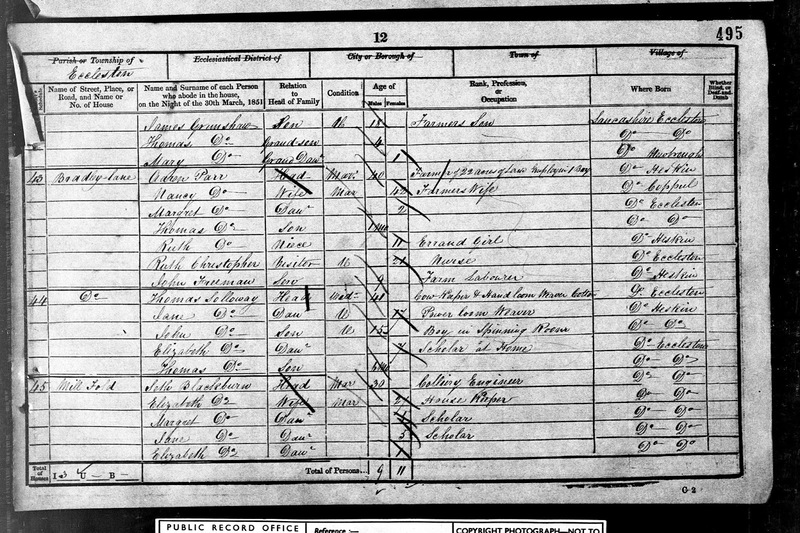 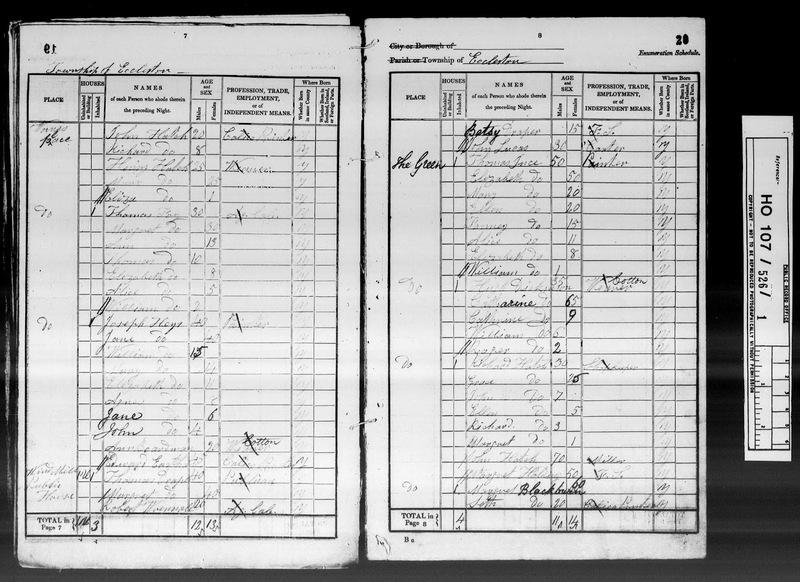 By the time of the 1861 census Seth Blackburn was shown as a Beer House Keeper and farmer of 15 acres and the location was recorded as "Wind Mill Fold". 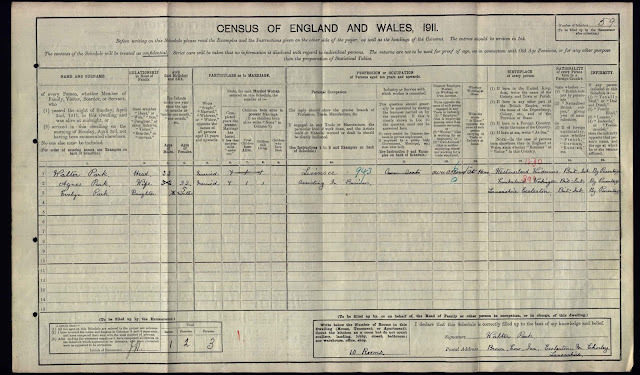 The Brown Cow therefore started life in the 1850's and Seth Blackburn was the first licencee, a position he held well in the 1890's dying in 1898 at the age of 77 years. 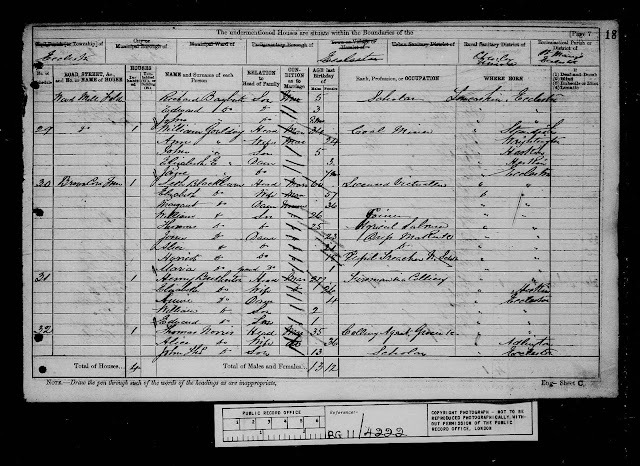 Listed landlords at the Inn were Seth Holding (1851), Seth Blackburn (1851-1898), Ebeneezer McClelland (1901), Walter Park (1911), Richard Robinson (1935) and Milton Barnes (1847). 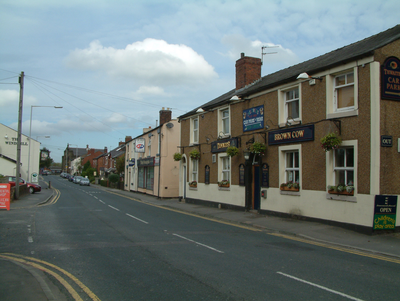 Following Seth's death the pub changed hands and in 1901 was being run by an Ebeneezer McClelland. 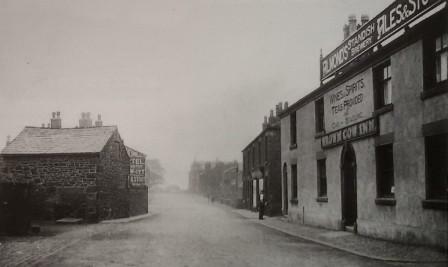 Landlord of the Inn in 1911 was a Walter Park and his wife Ages, who hailed from Windermere in the Lake District. 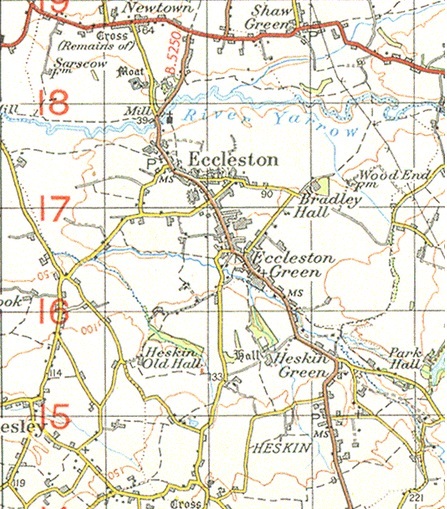 1950's Map showing how Eccleston's development over the the preceding 100 years.